Often people move from one sport to another due to past injuries. In the past, I enjoyed cross country mountain bike raing. It was a long time passion until my body start giving away. "Life On The Water" has changed my lifestyle and gave my body a new way of living. My First SUP board was 12.6x31 Boardworks Raven. I used to flip between my mountain biking one day and SUP the next. Currently I own total of 4 SUP boards. The Year was 2015. After spending two seasons helping Quest Outdoor's Boat demo, shop the owner let me use a brand new Boardworks Eradicator 12.6x26. This was the start of my SUP racing. I was ready to start racing with the perfect board. In 2015, I raced in a few easy local races and got the feel of SUP racing. For the 2016 season I had late spring training and as soon as Paddle Monster was announced during the week of Carolina Cup, I joined right away. With the training started late in the spring, beginning of the Southern Stoke Series races effected the race results I was looking for. I then spent the whole year training hard with Paddle Monster. I even included the Chattajack training, though I was not in the race. Here is an article "MEET JOE PADDLER" posted in DistressedMullet about me. Huge changes in my race season for the 2017 came from the winter training. I Never missed a paddle session and or strengthening workouts. My main goal was to close 90sec to 2min deficit I had with each races in Southern Stokes races. 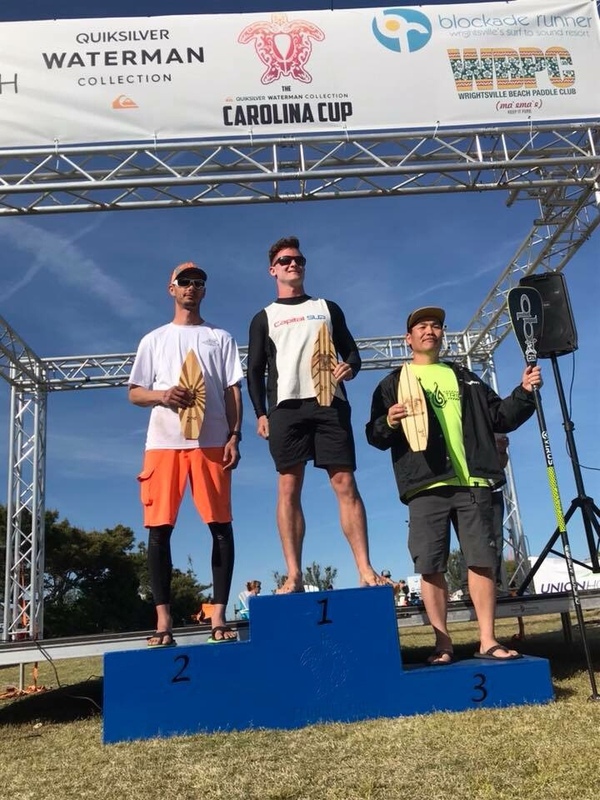 Carolina Cup this year at Grave Yard was pretty tough for this flat water guy and was a learning experience in the tide. None-the-less, I and 6 to 7 people were pulled out from the race around 11.5miles (out of 13 mile race) at the South Inlet for safety reasons. As I look over 2017 season, the most humbling experiences would be meeting all of the 100/100 group members who took time to meet me at big races like Carolina Cup and Chattajack. In both races it a was non stop meet up with each one of you. I couldn’t imagine I made so much of an impact on each of these people that they wanted to meet up. For that, I want to say a “Big Thank You” to each every one of you. 2018 Season is even stronger then ever. Continue to track my record under Race Results for most updated information! Back in 1999, I followed in the footstpes of my best friend who used to race mountain bikes. I was 25 pounds overweight at the time and needed to get back in shape. I picked up my “First Schwinn” and trained for a Cross country race that was to take place in 2000. I was with USA Cycling Association from 2000-2005 for NORBA sanctioned races. I still remember my first race. I was huffing and puffing and ended up with a DNF or Did Not Finish. I cut my right inner ligament of my knee with my suspension fork. Which Left me with 7 stitches and still to this day I have on and off knee issues. In summary, I completd over 57 races in these 4 years. In 2004, I battle with lower back and sciatica problem suffering through entire seasons. I still remember how the day after the race I would take ibuprofen like vitamin pills and lay in the back of the car going home with my team mates. It was so bad that I couldn’t share the driving when we had 10 hour drives back home on weekends. I Used to call up nurse friend to hook me up some sample pain pills because ibuprofen wasn’t working. I ended my 2004 season a month earlier to nurse and find the solution to the issues. Our team had good thing going with sponsors and I was still going to race in 2005 but sponsor support fell through. We also came to the end of our friendship with small argument over team functions. I end up retiring from my cycling career and decide to do more social rides and other things. I couldn’t still walk way from racing so I planned to race endurance race called Mohican 100 in Ohio. It is a 100milebx-country mountain bike race. I trained on the trail at very same lake that I train for SUP today. Just like Chattajack training, I did 16 laps of 4.5miles per lap for a total of 72miles covering 2/3 of the distance. That goal never happened as my new training partner got injured. That dream never got fullfilled and maybe I could say that there is a still unfinished business to be done.